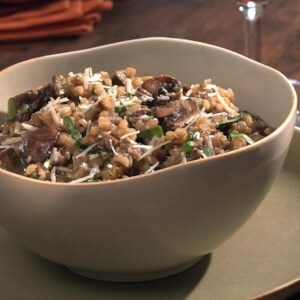 Find healthy, delicious mushroom appetizer recipes, from the food and nutrition experts at EatingWell. 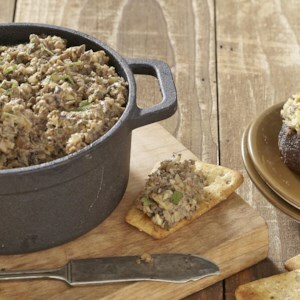 Serve this vegetarian pâté recipe as an appetizer with crackers and pickled onions or try it as a sandwich spread. Nutritional yeast, rich in vitamin B12, adds a cheesy flavor without any dairy. 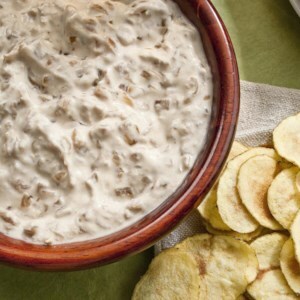 It makes perfect party food because it is easy to eat while you are balancing a glass and grazing at a buffet. 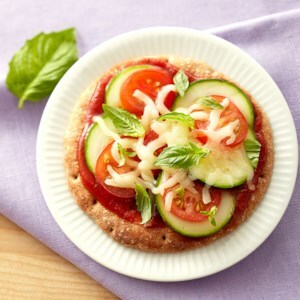 Serve as an appetizer or as a vegetarian main dish. 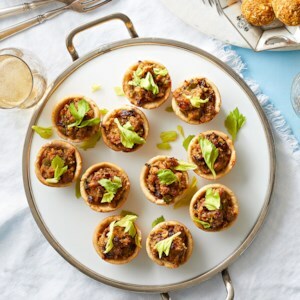 This finger food is the perfect healthy appetizer to get your party going. 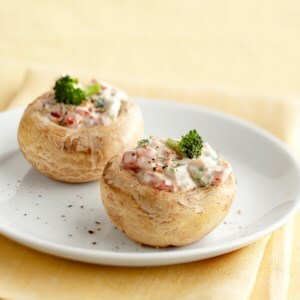 Three ingredients are all it takes to make this elegant hors d'oeuvre--no one will ever guess how easy they were to make! Want to keep things plant-based? 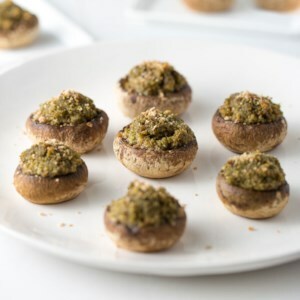 Use vegan pesto in the breadcrumb stuffing. You can also swap the whole-wheat breadcrumbs for gluten-free. 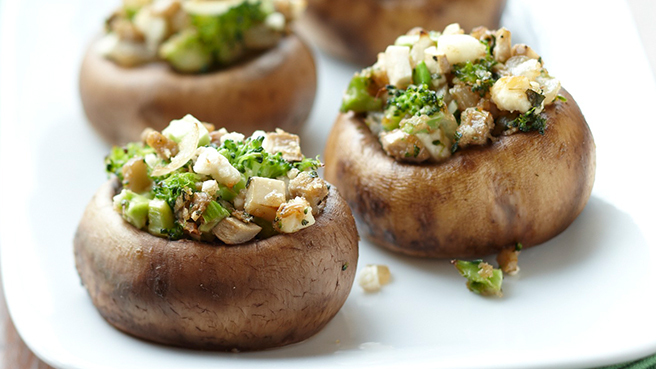 Savory stuffed mushrooms make a great addition to your appetizer tray. 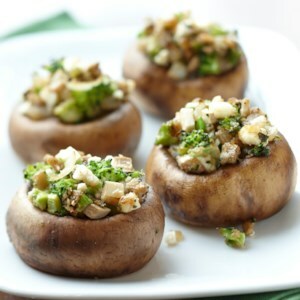 These feature a sour cream and vegetable stuffing and are topped with tiny broccoli florets for color and extra flavor. 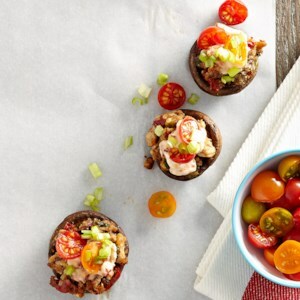 Freshly made Roasted Tomato Aioli takes these Turkey-Stuffed Mushrooms to the next level. 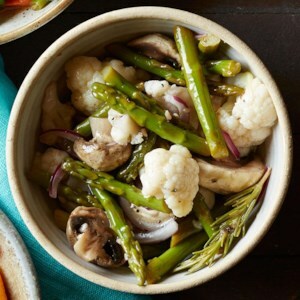 The wide variety of veggies in this tempura recipe provides vitamins, minerals, and health-promoting plant compounds. 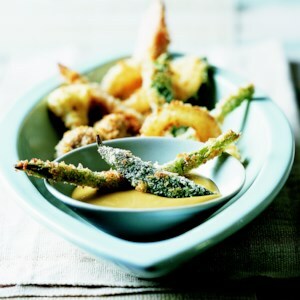 The mustard in the dipping sauce contains curcumin, a compound that makes mustard yellow and exhibits anticancer and anti-inflammatory properties. 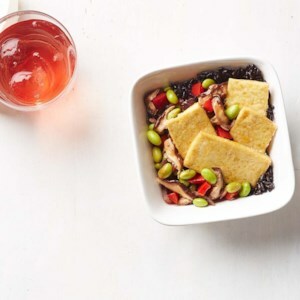 In this healthy vegetarian dinner recipe, pressing the tofu may seem fussy but it's crucial to getting crispy results. Black rice, also labeled forbidden rice, gets its color from anthocyanins--healthy antioxidants that also give eggplant and blueberries their dark hue. 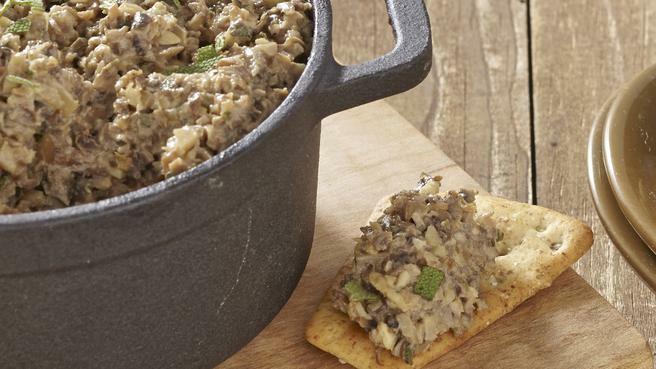 Serve this vegetarian pâté recipe as an appetizer with crackers and pickled onions or try it as a sandwich spread. Nutritional yeast, rich in vitamin B12, adds a cheesy flavor without any dairy. Look for the yellow yeast powder or flakes in natural-foods stores. 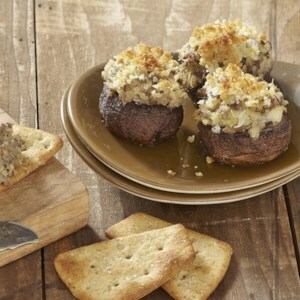 For this healthy stuffed mushroom recipe, marinated artichokes and Parmesan cheese are mixed with thyme and panko breadcrumbs for a delicious filling. If serving at a party, you might consider doubling the recipe. 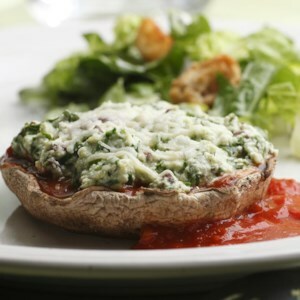 These stuffed mushrooms will be devoured quickly! 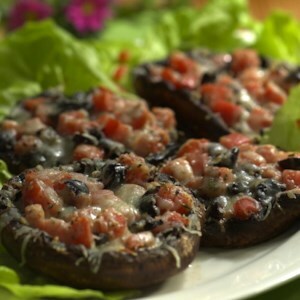 Serve these rich and savory mushroom toasts as a healthy appetizer with a fork and knife. 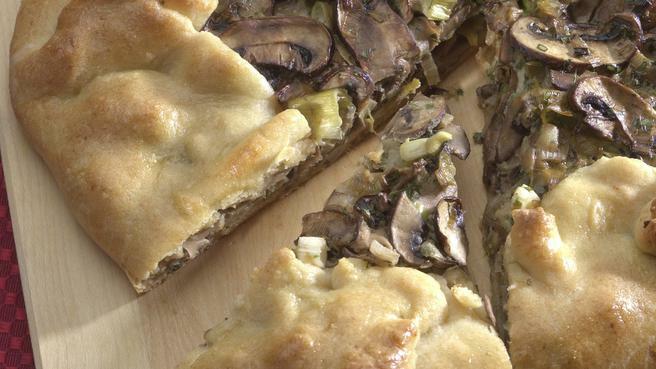 Wild mushrooms give the topping the best flavor, but any type of mushroom will work in this healthy recipe for creamy wild mushroom toast points. 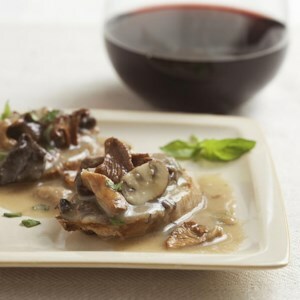 This recipe makes more Cream Sauce without the Cream than you'll need for the mushroom toasts. Refrigerate or freeze the extra sauce and use it in place of heavy cream in any sauce or soup that calls for cream. 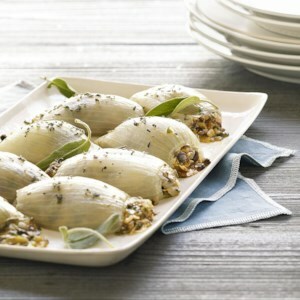 In this recipe for stuffed onions, mild onion layers are filled with a tasty mushroom and Cheddar cheese blend spiked with sage and a splash of dry sherry. 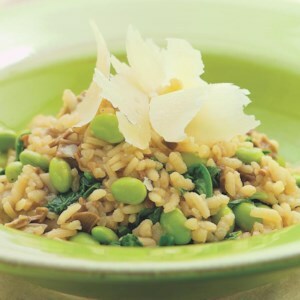 Serve as a vegetarian main dish for 4 or as a vegetable side dish for 8. 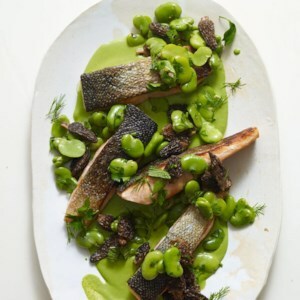 The creamy, herbed sauce that accompanies this healthy salmon recipe is so delicious, you'll want to dip everything in it. It can be hard to find fresh morel mushrooms; to rehydrate dried morels, soak in 1 cup boiling water for 20 to 30 minutes. Remove the mushrooms and strain the liquid through a fine sieve to remove any grit.